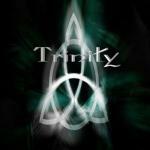 Sign up for Broadjam today to follow Trinity, and be notified when they upload new stuff or update their news! This and Unassuming Light are part of an upcoming album by duo Ambersceptre, featuring myself and vocalist Verena Chantal, who is currently resident in France. I live in the UK, so there are a lot of emails and WAV files going back and forth. Results: Viewing items 1-5 of 28. You're so far from me somehow. Why can't I be with you in the netherworld? Why can't I reach you here in the netherworld? when I wake from my bed. Would you like to help Trinity get heard by industry pros by buying them a song submission credit to Broadjam Music Licensing Opportunities?